My first time in Ecuador was an introduction to the country. The second, a language immersion. The third? I wanted to find something different to do. 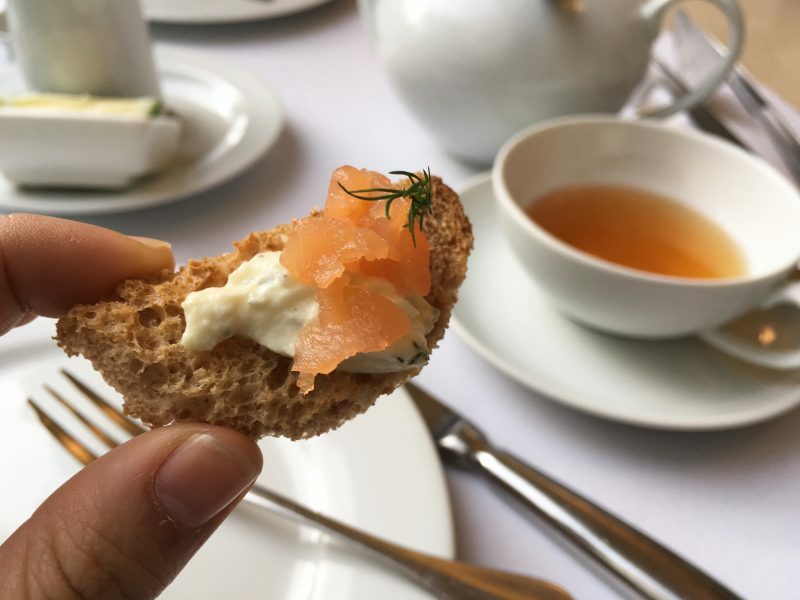 Being an afternoon tea enthusiast, I was curious to know if there was a hotel that served a traditional afternoon tea. Of course, reading this review, you know I found one. 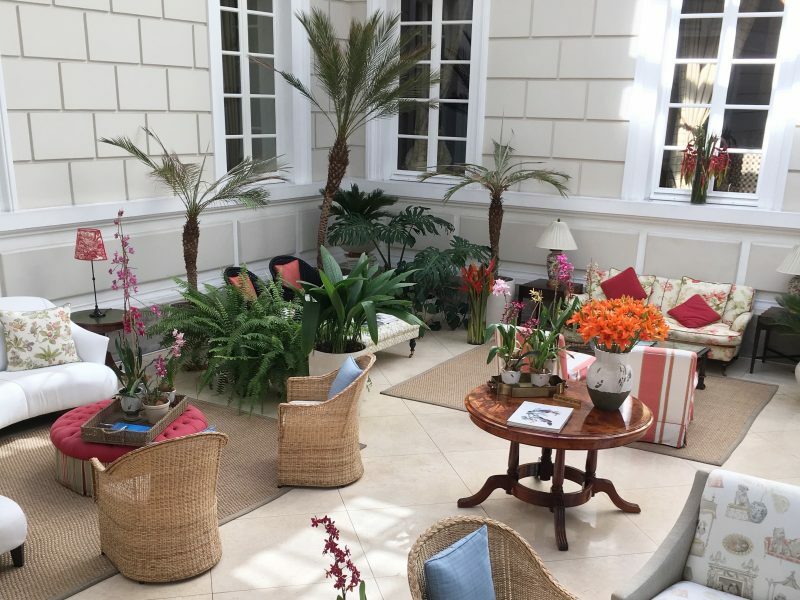 And as far as I know, the only hotel you can have a traditional afternoon tea in Quito, and maybe even the whole of Ecuador is at the award winning, Casa Gangotena. Casa Gangotena is situated right at the corner of Plaza San Francisco. This is a lively square where locals gather around throughout the day and pigeons do too. 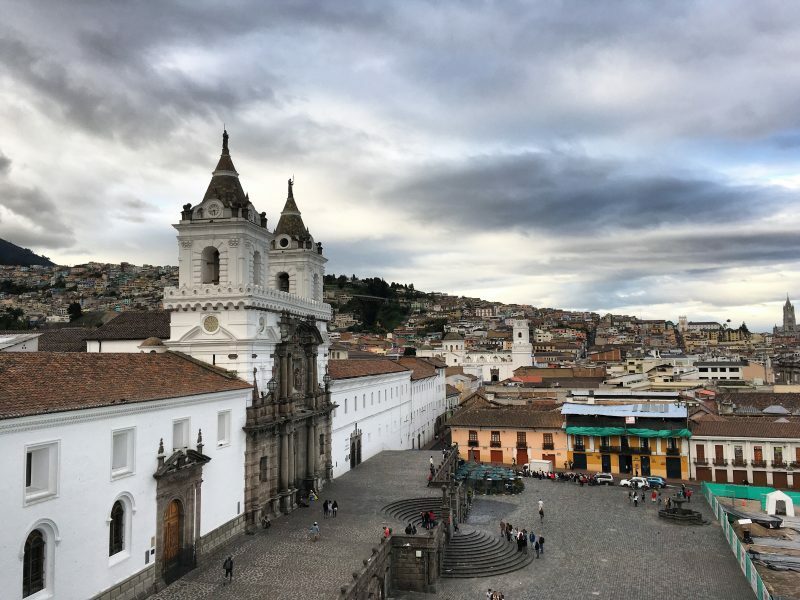 There’s a monastery at the square and from the hotel’s terrace, you can see the beautiful La Compañía church’s green domes and the Basílica del Voto Nacional in the distance. 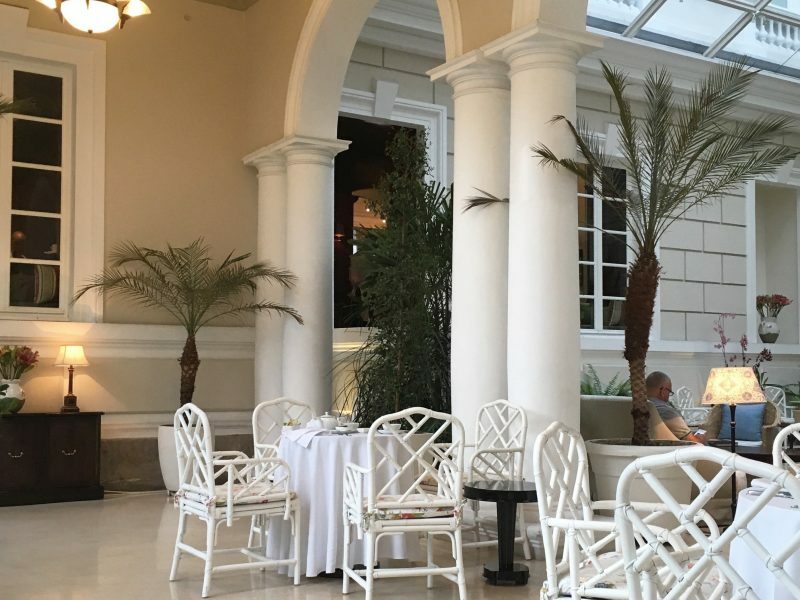 The hotel is also a five minute walk to Plaza de la Independencia, where the presidential palace is located, and is basically the center of Quito. 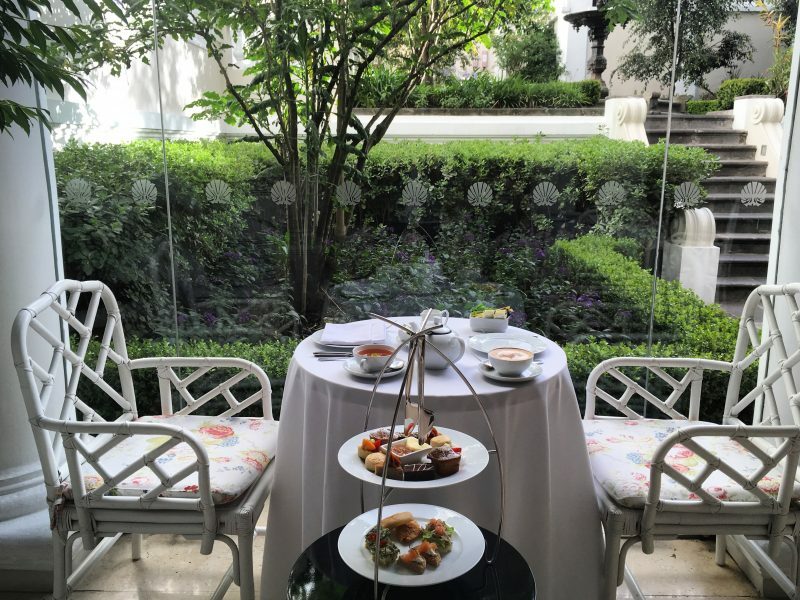 Afternoon tea goers can have tea by the windows looking out to the hotel’s garden or within the lobby sitting area. Both spots are brightly lit with natural light coming from the roof windows. 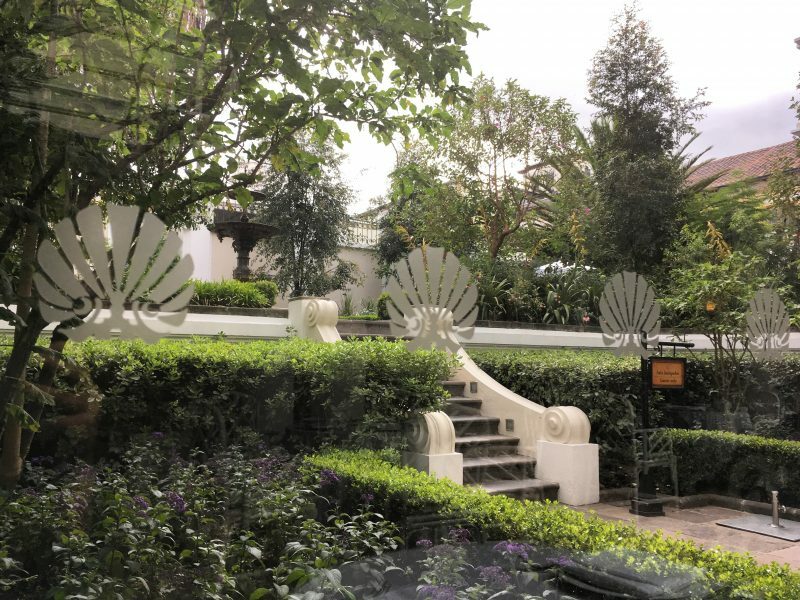 Plants, flowers and colorful pillows add to a calm garden oasis feel which is hard to believe is just steps away from all the action in Plaza San Francisco. When it came to the tea, I wasn’t sure what to expect. 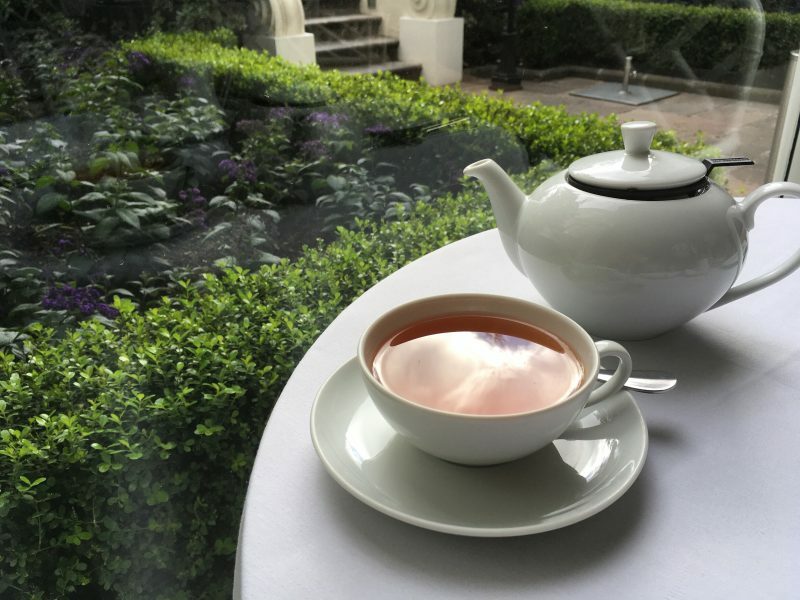 Usually when having tea in a place where afternoon tea isn’t common, bagged tea is expected. I ordered what I usually have with afternoon tea, earl grey and was delighted to find Casa Gangotena uses tea leaves! For non tea drinkers, you can also enjoy a cup of coffee, which Ecuador is known for. While living in Cuenca for combined three and a half months, I learned about a tradition called cafecito. It’s where friends and or family gather at around 4 to 6 pm and have Ecuadorian herbal teas and usually bread or other traditional foods like humitas. 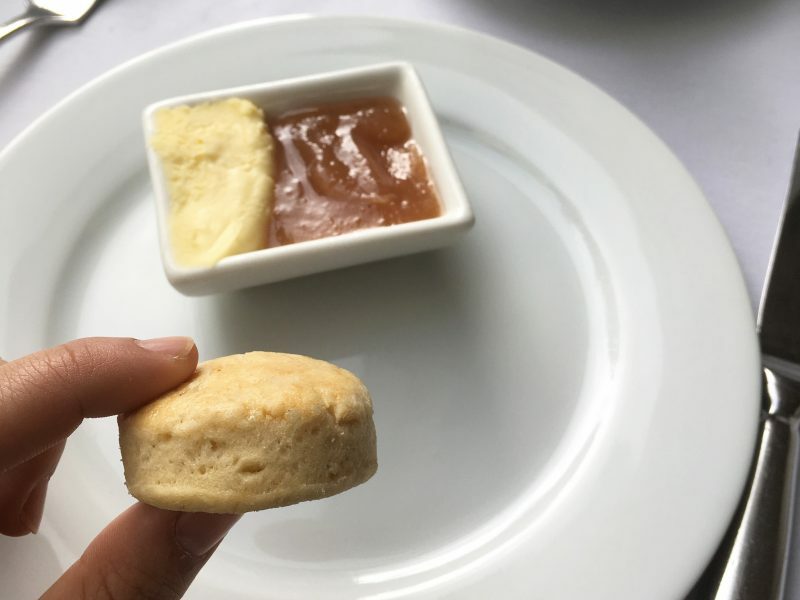 While I wouldn’t exactly call this a traditional scone… it was actually the cutest resemblance of a scone I’ve ever scene. They were literally the size of putting two quarters next to each other. It’s served with a generous portion for its size of butter (which I thought was going to be a Devonshire cream until I put it in my mouth!) and a really sweet apple jam. Sweet items included a slightly crispy on the outside and soft on the inside brownie, a banana cake with actual mushed bananas topped with dulce de leche (my favorite! ), a tart with strawberry, kiwi, uvilla and dulce de leche, and a moist cake with powdered sugar. 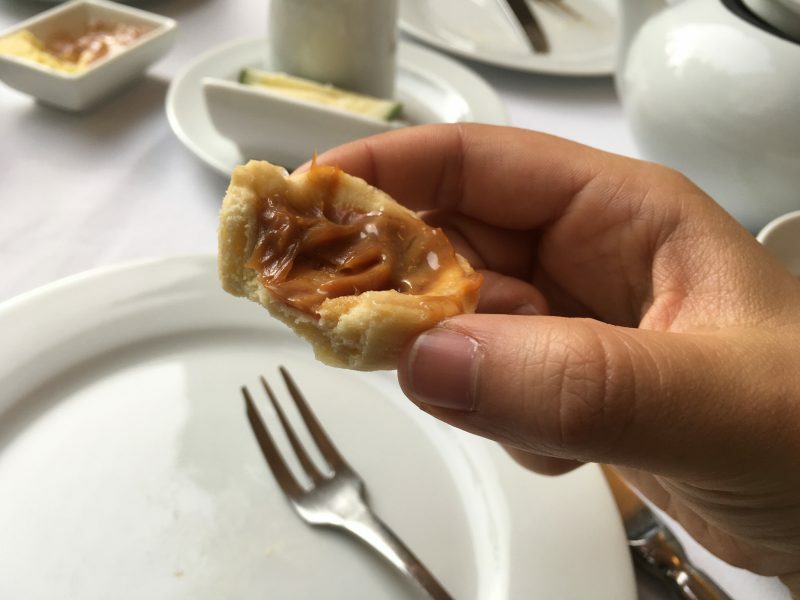 What I loved about these were the addition of local flavors like dulce de leche, banana and the uvilla (it tastes slightly like a chili but sweet and grape like… you need to try one for yourself!). I was also informed that the pastry chef at Casa Gangotena who was trained in France, makes everything in house. Each table had an additional side table where the two tiered afternoon tea trays were placed on, leaving lots of room on the main table. All the sweets including the scones were placed on the top tier and the bottom contained the savory. 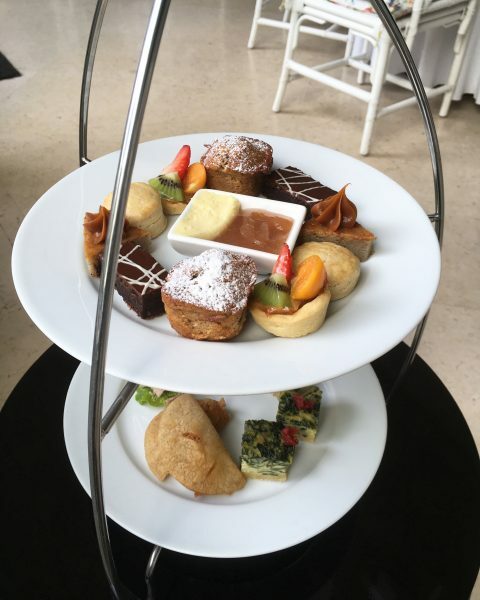 The food was placed on white plates and everything including tea pots and smaller plates were white which matched the general open and airy feel of the lobby. In general, Ecuadoreans are hospitable and friendly. The staff at Casa Gangotena take this to the next level with making their guests feel really welcome. 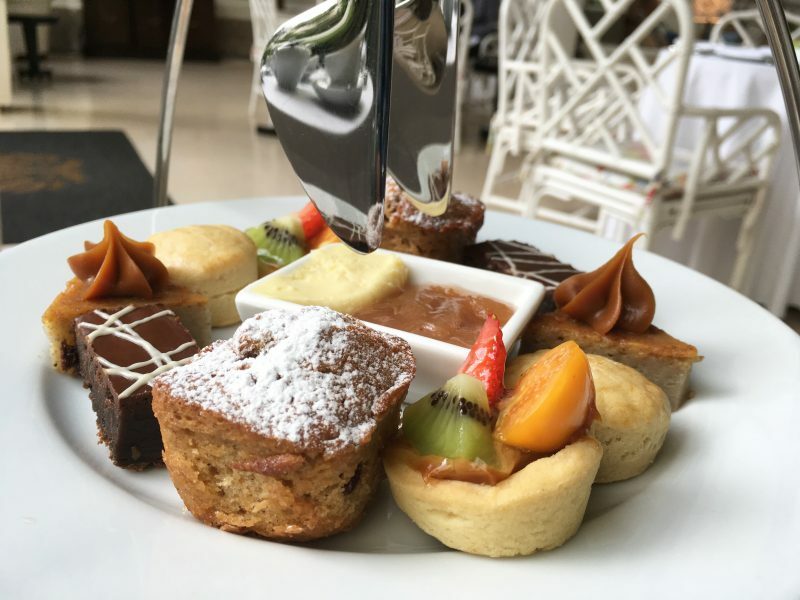 While I didn’t have much interaction with the server Cristian, I appreciated that he took the time to explain each item on the afternoon tea tray. Yes. Fast WiFi is available throughout the hotel. You will need a password. Casa Gangotena is on Twitter, Instagram and Facebook. 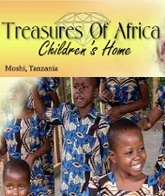 Follow them on Twitter here for regular updates and posts about their property. 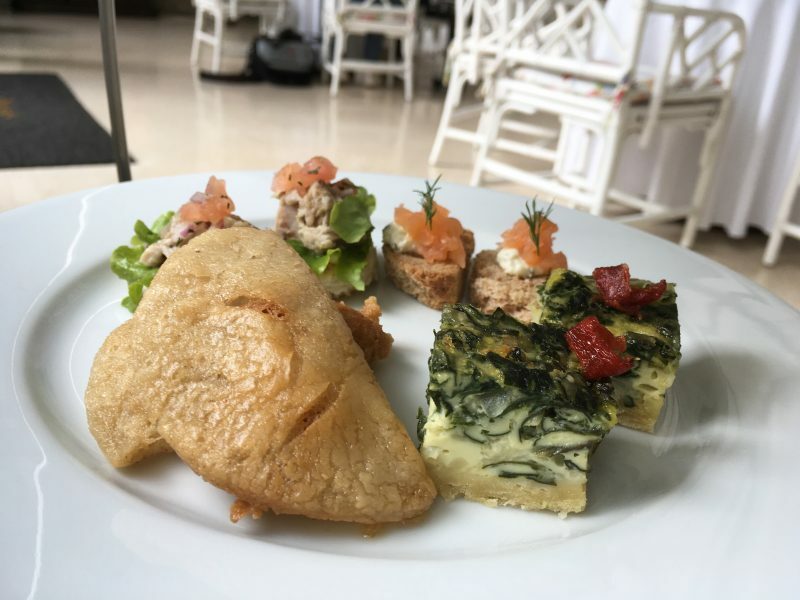 What I love about afternoon tea at Casa Gangotena was not only the fact that I was having it in Ecuador, but that the food featured local flavors. 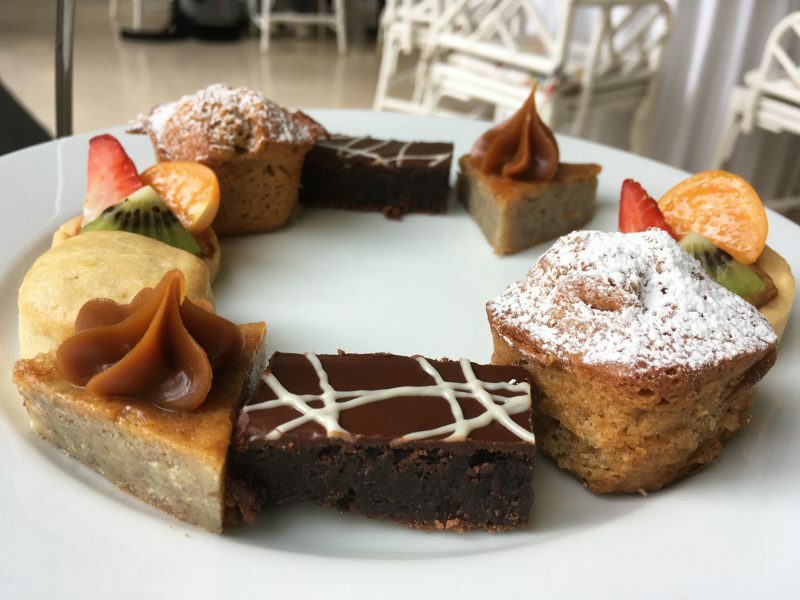 And plus, where else can you have afternoon tea in Ecuador? 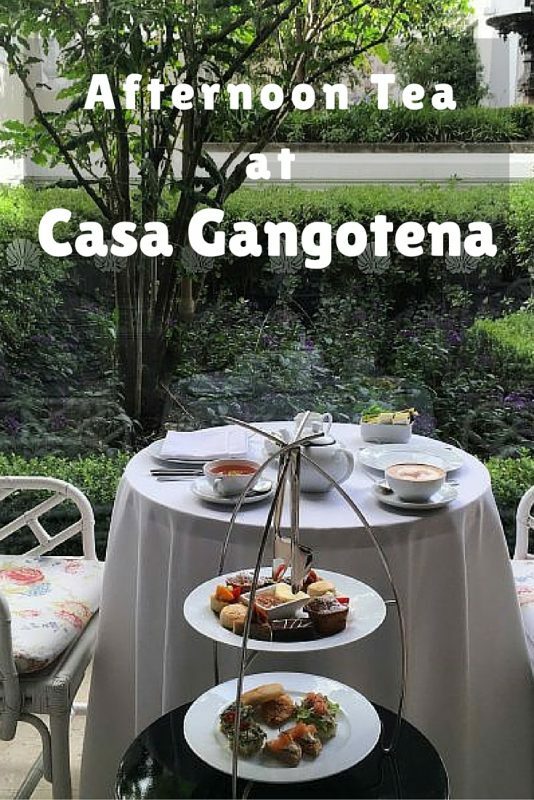 Note: A big thank you to Casa Gangotena for providing the afternoon tea for this review. As always, all views and opinions are my own.